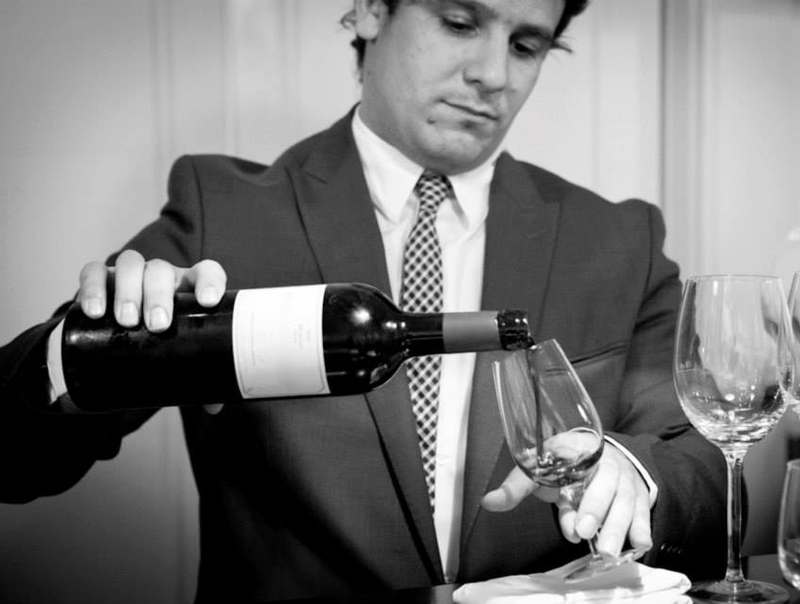 Somming for seven years at Restó, which recently ranked in Latin America’s 50 Best Restaurants for the first time, Matías Chiesa has also worked in the kitchen as well as front of house. A judge for International Wine & Spirits Competition (IWSC) and The Drinks Business, last night the certified sommelier drank a bottle of Grolsch. Don’t know if it was the last, but the best I recommend all the time because I think it’s the purest pairing, is mature blue cheese, such as Stilton and medium-sweet or sweet Riesling. A great Rheinhessen Spatlese or Auslese, a Mosel BA or TBA is a glorious combination that will give you goosebumps. I usually need a pint of beer after service. It’s my way of getting into bed and slowing down from the restaurant. So last night I had a 450mm bottle of Grolsch. I thought their wines were amazing, and then I confirmed, by being there, that it is one of my spots in the world. Mosel, in Germany, unifies my favourite wines with a beautiful place and the passion and simplicity of their people. I had the opportunity to visit last August, and met great people that made me feel like friend and family from the first minute. I hope I have the chance to go there again in the future. The key for me is when you feel the satisfaction that you have created a very pleasurable experience for your guests. When you get and feel this kind of emotion, you will always want to have it: it’s kind of an addiction. I also like the challenge of understanding what guests would like to drink according to their budgets. This may seem easy but each couple or table has their own sign language that gives you clues as to what they are looking for. Difficult to name just one. From my favourite region, I have a 1987 Staffler Hof Qualitatswein Riesling and a 2014 Madonna from Rudolf Trossen, a biodynamic producer that makes his wines without any intervention. Then from France, I have a 1999 Lanson Blanc de Blanc, a 1986 Château La Lagune (3rd growth Bordeaux), and a 1980 Château d’Arge (Sauternes). And from Argentina I have a vertical science 2007 vintage from Noemia in Patagonia. Noemia has changed and inspired many young winemakers and besides its tiny production, it’s what I call an “emotive wine”. The fact that you are the interpreter between people producing something (raw materials, prepared fine food, beer, cider or wine) to people consuming these products creates plenty of fun and enjoyable situations. You meet very, very interesting people on both sides and make friends simply because we share the passion for what we do. Very difficult question. I would say a vintage Champagne. The extreme growing conditions make me strong, a fighter, and a hard worker obtaining great results for my team, which is a very important part of me. And I would say vintage, because I’d like to update to the vintage style and not to have a “house style” throughout my life.